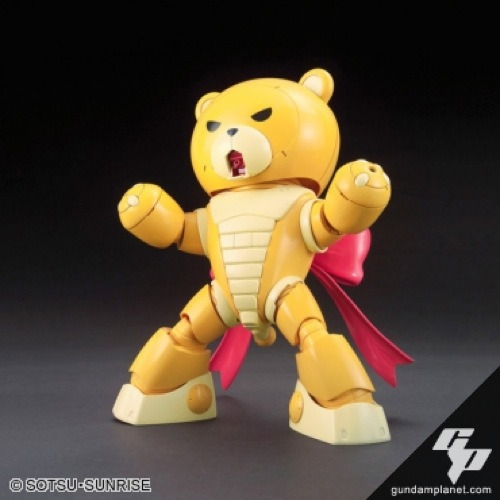 A new version of the ever popular Beargguy from the Gundam Build Fighters anime appears! 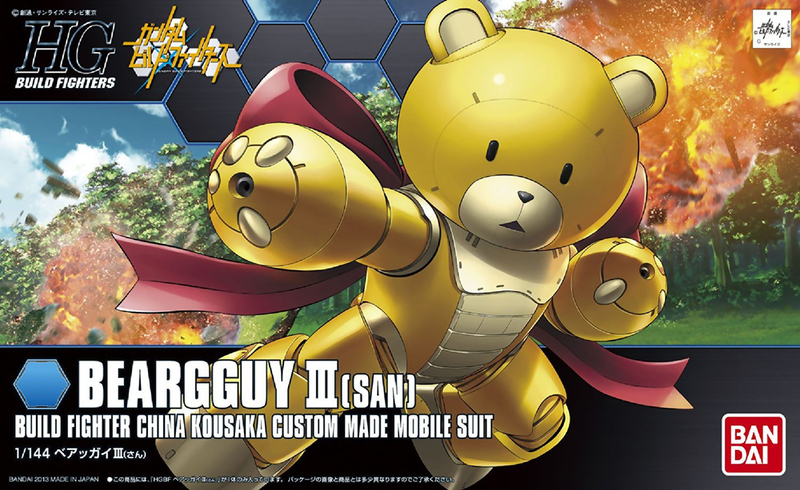 A play on words of the Japanese pronunciation of the number 3, "Beargguy-san" or "Mr. Beargguy" features 6 different facial expression stickers including angry and surprised faces for maximum cuteness! 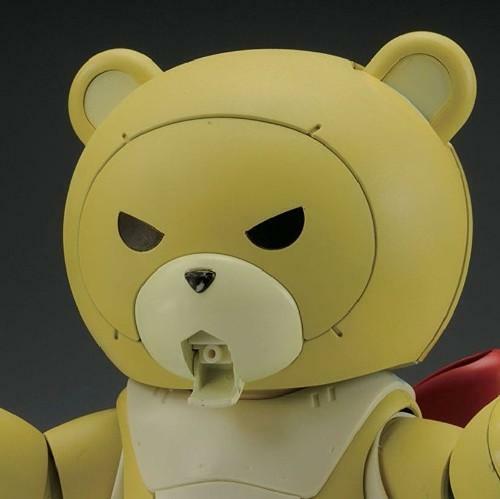 Armaments include mouth cannon, 2 beam sabers, and Ribbon Striker backpack. 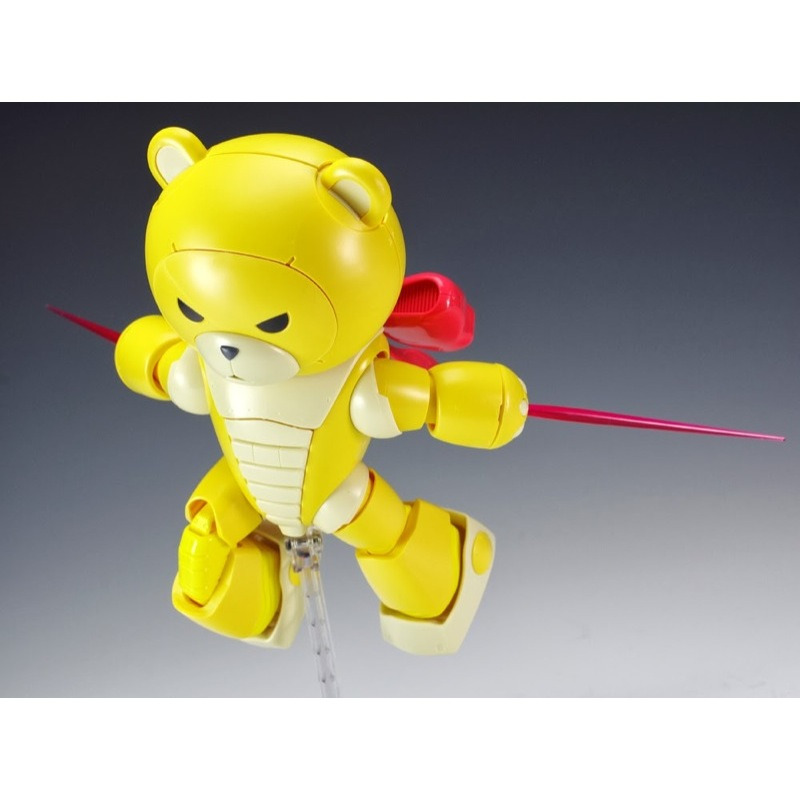 Backpacks from the Build Custom series as well as other previously released model kits like the Aile Striker are compatible to make Beargguy III even more powerful!